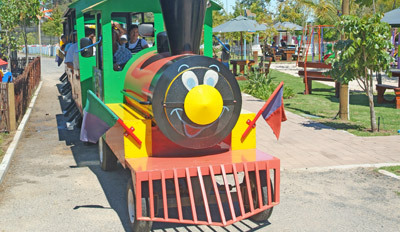 Bugz Family Playpark is the largest outdoor and indoor play park in the Western Cape. 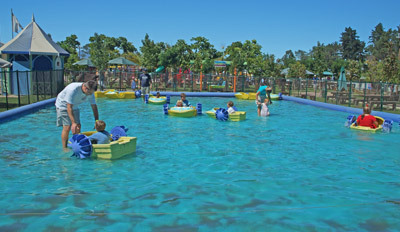 Bugz is geared to entertain two to ten year olds and it is a colourful extravaganza of pedal cars, jumping castles, rowing boats, swing horses, mini tractor rides, and even a choo choo train, and will tire out little ones in no time. 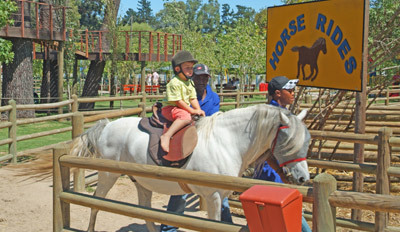 Most of the rides are powered by the children themselves and parents therefore know that their kids are getting excellent exercise in a natural way. Rides are paid for in tokens, but a cost effective VIP card allowing unlimited rides on most activities is also available. 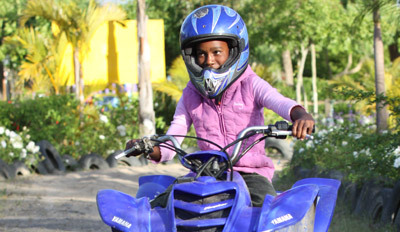 Older and more adventurous little ones can giddy up and trot around on the resident horses or tear up the surrounds on the selection of quad bikes. 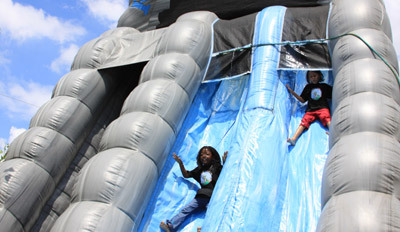 In nice weather they can even go slipping and sliding down an inflatable waterslide. Bugz has two large sandpit areas with colourful jungle gyms, slides, swings and various play equipment to crawl under or climb over. 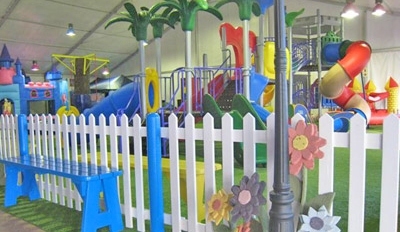 There are also an indoor area with play houses, a tree house and even a castle. 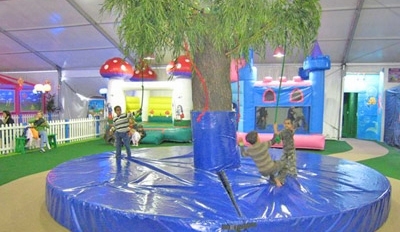 If there is not a party in progress, kids can play in these areas to their hearts content. 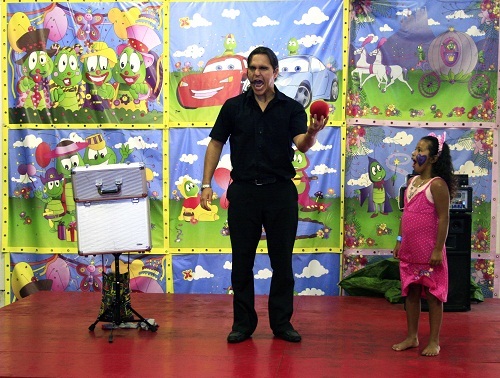 On most Saturdays and Sundays, Regardt Laubscher the Magician, visits Bugz to perform a magic show or two. Regardt has been performing magic for the past 10 years. He was also trained by, South Africa’s most successful magician ever, Wolfgang Riebe. 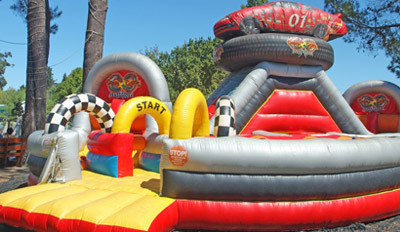 Bugz is a extremely popular party venue and birthday parties are held in any of the 5 outdoor party venues or 7 indoor venues. 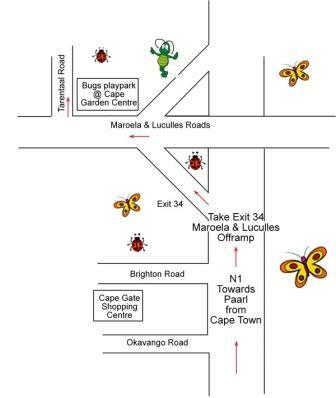 I enjoy visiting the Cape Garden Centre, which is right next to Bugz family playpark, so parents of bigger children can wander through the lovely nursery while the children enjoy themselves. Die Cape Garden Centre kwekery, aangrensend tot Bugz, is alleen genoeg rede om te besoek. Hulle personeel is kundig en baie hulpvaardig. Daar is ook allerhande spesialiteitswinkels waar jy van braaitoebehore tot 'n luislang kan koop. They have planted over 1000 trees in their play park. The oil that is used to fry the chips is recycled and turned into diesel in the small biodiesel plant and then it is used as the energy source for the train. They are currently testing a solar geyser in the kitchen. Return from Bugz Family Playpark page to Homepage.